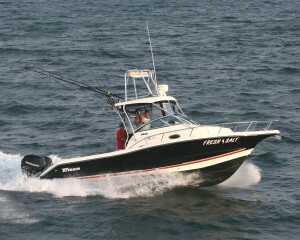 Welcome Aboard Fresh & Salt Fishing Charters! 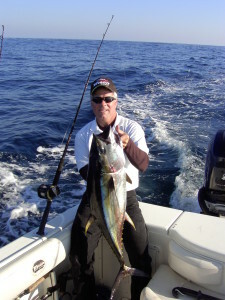 Are you ready to experience the excitement of an offshore fishing excursion? The adrenaline starts pumping the moment the two most anticipated words offshore are shouted: “Fish on!” Words alone can’t describe the feelings associated with the fishing belt being secured to your waist; and when it’s your turn to battle with a monster mahi, billfish, wahoo, or tuna, there’s no greater feeling of exhilaration. Perhaps, you’re on a family vacation here in Virginia Beach. Or, would like to celebrate your son or daughter’s birthday with a surprise fishing trip. Maybe even reward or entertain some star employees with a fishing trip adventure. Rudee Inlet is the gateway to the pristine blue waters of the Atlantic Ocean and the Chesapeake Bay. Fresh & Salt Charter Capt. 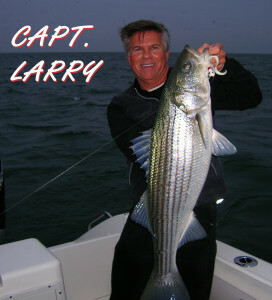 Larry Lusk will work hard in making certain your fishing charter is an exciting day for family or friends. And if by chance Mother Nature’s wind will not allow an offshore or Chesapeake Bay excursion, I’ll be happy to explore the option of taking a few in your party bass fishing! There are several inland cypress tree and lily pad lined rivers that offer excellent largemouth bass fishing for the die hards. Now is the perfect opportunity to experience the amazing fisheries of Chesapeake Bay, or the very exciting offshore waters of the Atlantic Ocean. Both bodies are filled with an incredible abundance of sea life. During your adventure you may even see whales, sea turtles, sharks, sunfish, and dolphins, just to name a few. Now is the time to make that call you’ve always thought about. I’d be honored to have you aboard! Bass Cat – Model: Pantera III – 19 ft. I use Bass Cat Boats because they are truly “Total Performance Bass Boats.” Ron and Jan Pierce started Bass Cat Boats in 1971. Son Rick now manages the company and leads the way in quality craftsmanship and high-performance hull design. Bass Cat Boats is the last remaining original family-owned bass boat builder, and their heritage shows. I take great pride in having owned Bass Cat Boats since 1993. 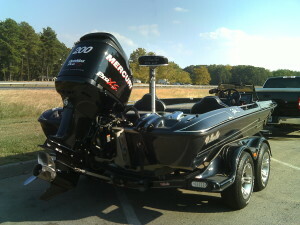 If you elect to charter a guided trip bass fishing, you will be fishing from the most uniquely safe, custom built, high-performance bass boat on the market. 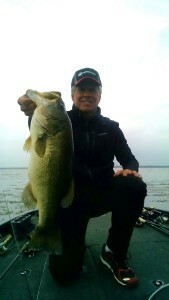 See for yourself and “Feel The Rush!” at www.basscat.com.